Rugged porous material solutions for your vacuum equipment systems. As the industry’s first designer and developer of molded sintered porous plastic products for use in filtration, diffusion, and vacuum systems, Porex is trusted by manufacturers around the world for our engineered porous components that ensure durability, consistency and enhanced equipment performance. POREX® fluidizing sheets help provide a uniform and evenly distributed air supply stream in powder-coating systems in which powder should flow like water. With our special molding process, fluidizing sheets are developed with consistent pore sizes and airflow characteristics. Deliver uniform powder distribution – Powder flows like water because the sheet provides a uniform distribution of air. Allow full fluidization – Engineered porous sheets maximize the efficiency of powder-coating systems. Ensure consistent system performance – Special molding process establishes evenly distributed pore sizes and airflow properties. POREX® plastic filter housings are self-contained preliminary filters for both gases and fluids. Designed to protect vacuum equipment, pneumatic controls units, pumps and motors from corrosion and chemicals, our plastic filter housings are an economical pre-filtration alternative for potable water and reverse osmosis systems. 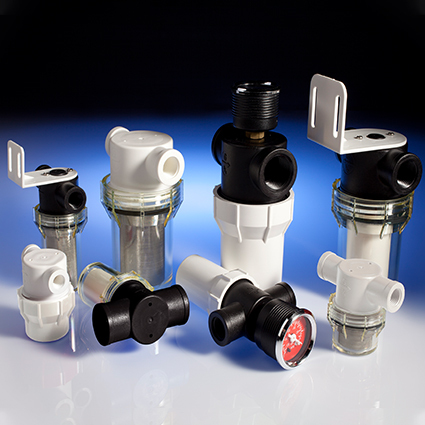 Ensure quality performance – Plastic filter housings are FDA, Reach and RoHs certified. To help manufacturers in the automotive, textile, and furniture industries more effectively hold upholstery, fabric, and textile roll stock flat onto vacuum-based cutting tables, we designed POREX® vacuum hold-down sheets. Increase vacuum hold-down system efficiency – Specifically designed porous surface efficiently draws air to pull textiles onto a table for computer-based cutting. Minimize vacuum loss – The consistent pore structure of the sheets ensures low back pressure. Ensure durability – Material hardness withstands repeated scoring from a mechanical razor.